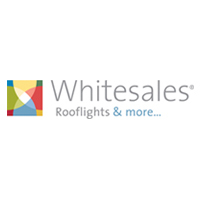 We are a third generation family business specialising in the manufacture and distribution of commercial skylights and specialist flat roof light and flat roof glazing products. 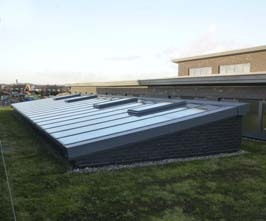 With more than 20 years’ experience in the industry, our rigorously tested and fully compliant roof lights are designed to flood interiors with natural daylight, enhancing working and living conditions. 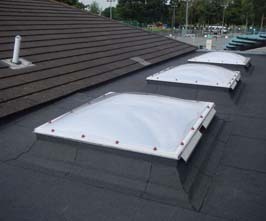 Whether you’re a contractor, merchant, architect or specifier, we know that roof lights play an integral part in sustainable building design; we specialise in polycarbonate and glass rooflight such as thermoformed polycarbonate roof lights certified to EN1873, pyramid roof lights, smoke ventilator skylights (AOV’s) fully compliant to EN12101-2, barrel-vaulted continuous roof lights, flat glass roof lights – tubular skylights, lantern lights, monopitch and other types of specialist rooflights. We are a customer service focussed company with core values of integrity, trust, reliability and consistency. 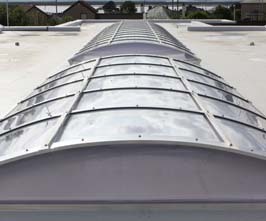 Therefore support for the customer is paramount and we are able to provide services such as; condition reports for existing rooflights, technical advice and specifications, CAD drawings, bespoke designs, on site assistance right through to after sales support to ensure you and your customer complete peace of mind. We carry large stock holding of many of our core products so they are available on very short leads times from strategically positioned major distribution centres in England and Scotland.